Utsav Educational & Cultural Society presents the UTSAV SAMMAN to Shashadhar Acharya (Chhau), Kamalini - Nalini (Kathak) and Saroj Mohanty (Odissi music-vocal) on April 30, 2019 at Triveni Kala Sangam during its Su-Tarang Festival. On April 19, 2019 Dr Raja Reddy & Dr. Radha Reddy receive the HANUMANT AWARD 2019 at the Hanuman Jayanti Mahotsav, Bhavnagar, Gujarat. Kuchipudi dancer and writer Bhavanvitha Venkat, disciple of Guru Bala Kondala Rao, succumbed to a cardiac arrest on March 28, 2019. Professionally a finance advisor for corporates, he had an unparalleled passion for Kuchipudi, was a supporter of Kuchipudi artistes, a champion for the cause of Kuchipudi and expressed great concern for the future of the dance form. 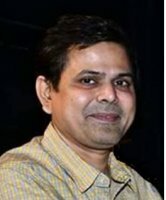 He was a regular contributor to narthaki.com. His presence and voice will be sorely missed. 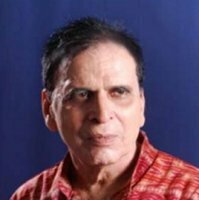 Kartik Chandra Rath, playwright, promotor of the arts, and organizer of festivals, passed away in Cuttack, Odisha on April 1, 2019. He was 70. After a gap of 8 years, the Tamilnadu Govt has announced KALAIMAMANI awards for 201 personalities, including writers, singers, dancers, musicians and actors, for their contribution to culture from 2011. Among the recipients are Bharatanatyam dancers Roja Kannan, Lakshmi Ramaswamy, Radhika Shurajith, J Suryanarayanamurthy, Priya Murle, Madurai R Muralidharan, Binesh Mahadevan, Latha Rajendran, P. Muralidharan and Niveditha Parthasarathy. Chennai-based Sri Krishna Gana Sabha and Bharatiya Vidya Bhavan, Goodwill Stage and Salem Amateur Arts will receive awards for institutions. V.P. Dhananjayan and Shanta Dhananjayan will receive the BALASARASWATHI MEMORIAL AWARD for Bharatanatyam, along with Vyjayanthimala Bali and Prof. C.V. Chandrasekhar. The award carries a cash prize of rupees one lakh and citation.